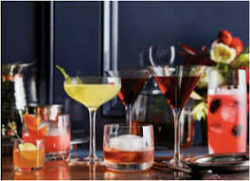 Party with Purpose is partnering with The Winston for a Holiday Spectacular Cocktail Making Class! On Wednesday 12/12 from 7-9pm, come enjoy the brilliantly decorated Winston Wonderland and learn how to make some of this season’s most delicious Holiday concoctions. Tickets are $40 per person and a portion of proceeds go to local children’s charities. Have some fun getting in the spirit and giving back to a good cause.